Residents of Ankara, Turkey would not have been mistaken if they thought they saw thousands of pieces of advanced medical machines being rolled across their city recently – 2,228 medical systems like mammography, CT, MRIs, ultrasound and anesthesia machines to be exact. 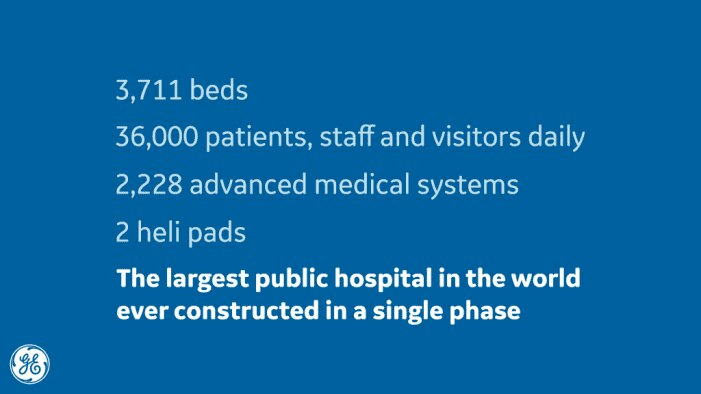 The capital of Turkey just became home to one the world’s largest public hospitals ever constructed in a single phase, with the opening Bilkent Integrated Health Campus, a state-of-the-art 3,711 bed, $1.3 billion healthcare facility that aims to help Turkey deliver more effective, higher-quality healthcare to citizens. The project comes amid a trend across many countries in this region of the world to bring together public and private organizations in partnerships that deliver solutions at a new scale for greater impact. The Turkish Ministry of Health has committed $15 billion to such a healthcare transformation strategy. 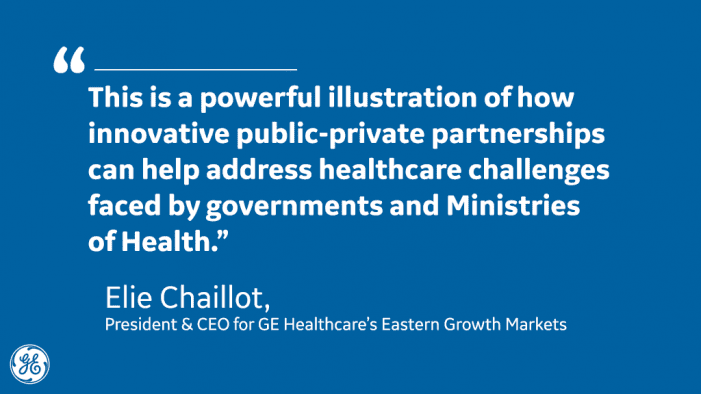 In this case, GE Healthcare partnered with Turkish healthcare developer CCN Holding to form the country’s first operational PPP, and Turkey’s largest to date. Covering almost one square kilometer, the campus is expected to cater to more than 36,000 people per day including patients, visitors and staff. 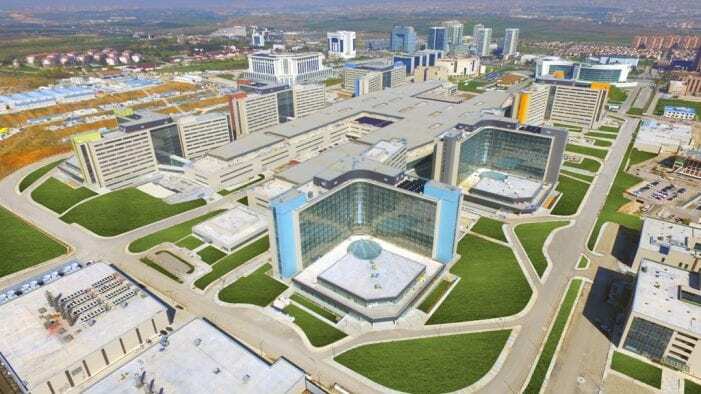 The new hospitals’ diagnostic center and six towers include a cardiovascular hospital, general hospital, children’s hospital, maternity hospital, oncology hospital and neurology hospital, as well as a clinic hotel and administrative building for the Turkish Ministry of Health. GE Healthcare says its engineers managed to install the new technology in just over 2,600 hours, including some of the newest and most advanced systems. 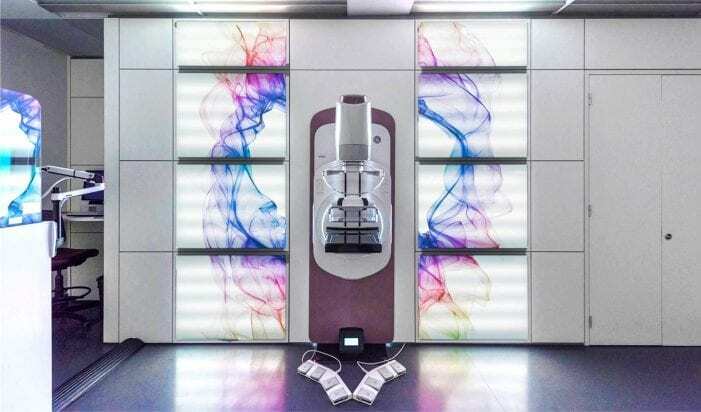 Patients at Bilkent will have access to a Senographe Pristina, the mammography system specially designed to help reduce pain, discomfort and anxiety for patients, for example, and GE Healthcare’s latest Revolution* CT, which the company says delivers uncompromised image quality and clinical capabilities with low dose technology. In early 2017, GE Healthcare and CCN’s partnership also delivered comprehensive technology and healthcare solutions packages for the Mersin Integrated Healthcare Campus, a 1,300-bed hospital project.